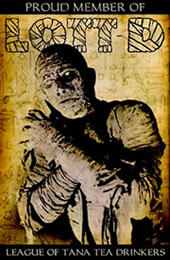 Classic-Horror.com is based out of Phoenix, AZ, so occasionally we provide horror news specific to that region. The big genre news for the Valley of the Sun right now is that at 10:00PM on December 4th, 2008, Chandler Cinemas in Chandler, AZ will be host a special, one-night-only screening of Repo The Genetic Opera with director Darren Lynn Bousman and screenwriter/composer Terrance Zdunich in attendance. This is part of a special four-city expansion of Repo's highly successful tour of independent cinemas across the United States. Tickets for the screening will be $15.00 (cash-only at the door or order in advance). If the 10PM show sells out, a second midnight screening may be added as well. 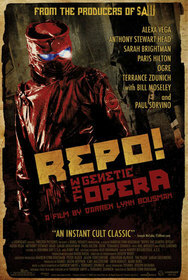 Chandler Cinemas is proud to be the exclusive venue for REPO! in the Phoenix area. As the Valley's only independent theatre, home to The Midnite Movie Mamacita, The Rocky Horror Picture Show, and a host of other off the wall, alternative, underground programming and events, our reputation for edgy, indie fare and built-in audience hungry for something beyond the mainstream makes Chandler Cinemas the natural choice for this groundbreaking, instant cult classic. Chandler Cinemas is located at 2140 N Arizona Ave in Chandler, Arizona. Edit: Forgot to mention that the Repo! screening is for adults only. No one under the age of 17 will be admitted. Submitted by Elisa (not verified) on Sun, 2008-11-30 23:54. Submitted by Anna (not verified) on Fri, 2008-12-19 15:53. If you missed the screening on the 4th, there is another one tonight at midnight, and director Darren Lynn Bousman will be there again. After that, Chandler Cinemas will have a regular screening schedule for it.